Am I alone in thinking traditional cellar doors are rather underwhelming? Much as I love wine, my idea of a good time isn't to repeat the same dreary experience all day. I don't want to lurk in a shed, slurping wine and consulting tasting notes about the aromas of pencil shavings and hints of forest floor, while outside a whole lovely world awaits. Fortunately, a generation of younger, innovative winemakers is making wine regions attractive for much more than just wine. Cellar doors themselves now offer sophisticated restaurants and spas, art galleries and world-class hotels. 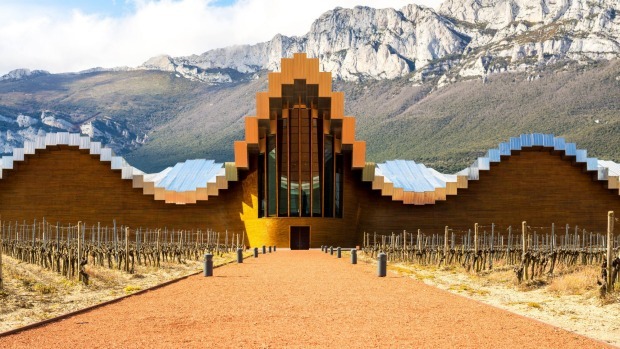 And despite the historic settings of many vineyards, some ambitious winemakers are making bold architectural statements too, such as the crumpled metal, multi-media Loiseum cellar door in Austria's Wachau Valley, or Frank Gehry's undulating titanium Marques de Riscal hotel in Spain's Rioja region. The result is an enhanced cellar-door experience that has moved far beyond sipping and spitting to become more a varied, entertaining experience, while seldom losing sight of the main game, the production of quality wines. Beyond cellar doors, top wine regions have begun to provide a host of alternative attractions. That makes sense, since wine lovers are generally admirers of good food, culture, music and the other fine things in life too. Only the most fanatic of wine aficionados will travel across the word just to visit cellar doors, but many of us will be enticed by interesting wine regions. Here is where to go to enjoy your wine and much more besides. WHY YOU SHOULD VISIT Napa Valley has a sophisticated cultural life and impressive art galleries and artists' studios. Among them, Markham Vineyards (markhamvineyards.com) displays works by two resident artists, Christopher Hill Gallery (chgalleries.com) features important 20th-century artists, and The Hess Collection Winery (hesscollection.com) showcases a first-class private art collection. 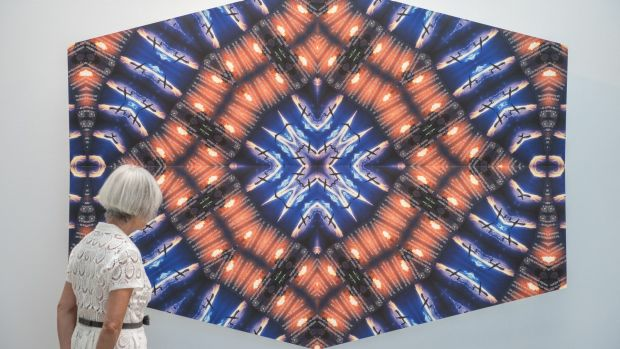 DON'T MISS Check out 2000 indoor and outdoor works in many media and styles by Californian artists at Di Rosa Centre for Contemporary Art (www.dirosaart.org). Many are terrifically quirky and experimental. 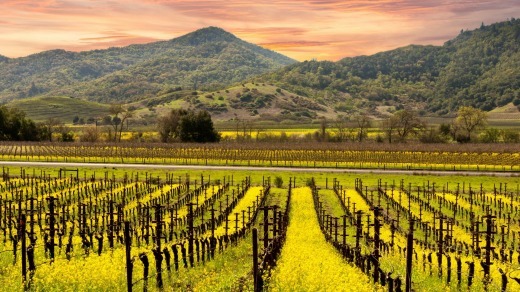 GRAPE EXPECTATIONS The compact, glamorous Napa Valley produces some of America's tops wines and is best known for cabernet sauvignons and cabernet blends. Not-to-miss cellar doors include Beringer (silveroak.com), Opus One (opusonewinery.com), Raymond Vineyards (raymondvineyards.com) and Silver Oak (silveroak.com). 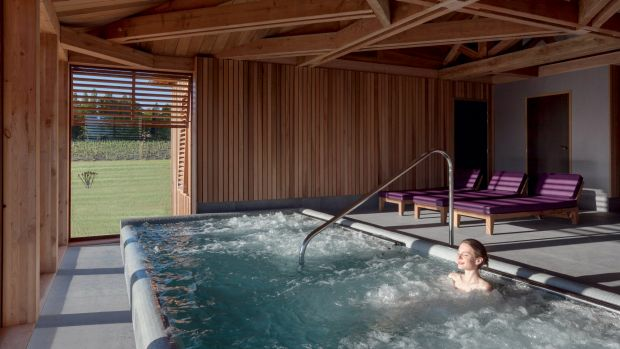 WHY YOU SHOULD VISIT Luxury vinotherapy spas are a hot trend, and where better for decadent indulgence than the world's greatest wine region? Among posh digs with great spas are lovely Chateau Grand Barrail (grand-barrail.com), Chateau Latour Segur (www.chateaulatoursegur.com) and the contemporary Golf du Medoc Resort (www.golfdumedocresort.com), where you can also be massaged with golf balls. DON'T MISS The place that started it all in 1999 is the world's first vinotherapy hotel, Les Sources de Caudalie (sources-caudalie.com), where one massage sees you covered in crushed Cabernet grapes from prestigious wine estate Chateau Smith Haut Lafitte. GRAPE EXPECTATIONS Vineyards surrounding Bordeaux produce very famous (and famously expensive) wines, such as St-Emilion (blended reds), Médoc (full-bodied reds) and Sauternes (sweet Muscadelle). WHY YOU SHOULD VISIT Not just wines but artisan chocolate, cheeses, trout and olives, plus quite the restaurant reputation, make Franschhoek South Africa's gourmet capital. 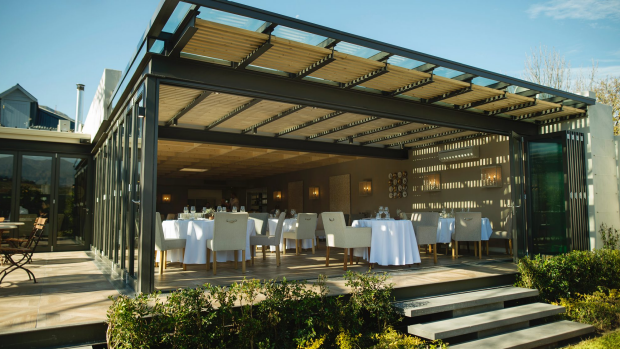 Tuck into top nosh at La Petite Ferme (lapetiteferme.co.za), or an 11-course, wine-matched degustation at La Petite Colombe (lapetitecolombe.com), which runs from yellowfin tuna to glazed pork and langoustine ravioli. DON'T MISS Head over Helshoogte Pass and stop at winery Tokara (tokara.com) for its excellent restaurant serving innovative, contemporary South African food, accompanied by a flagship red blend and staggering views. GRAPE EXPECTATIONS Wineries, some established in the 17th century, are among South Africa's finest and renowned for full-bodied reds such as shiraz and cabernet sauvignon. Call at Glenwood (www.glenwoodvineyards.co.za), Moreson (moreson.co.za) and hilltop Haute Cabriere (www.cabriere.co.za) for magnificent scenery. 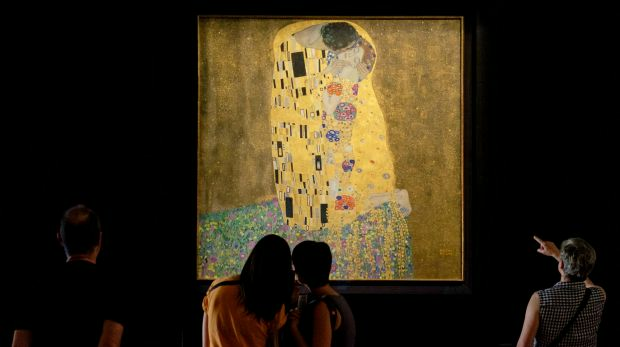 WHY YOU SHOULD VISIT Vienna lays claim to having the only demarcated wine region within a city: the perfect chance to match cellar doors with world-class museums. MuseumsQuartier (www.mqw.at) is one of Europe's preeminent art-gallery ensembles. You'll also want to check out Belvedere (www.belvedere.at) for Klimts and the Art History Museum (www.khm.at) for its fabulous cabinet of curiosities. DON'T MISS Vienna is full of entertaining little museums. The delightfully eccentric Third Man Museum (www.3mpc.net) is devoted to the famous 1948 cult movie and the seedy, post-war Vienna that forms its backdrop. GRAPE EXPECTATIONS Crisp white wines dominate, especially chardonnay, riesling and native gruner veltliner. Dozens of Huerigen (wine taverns) feature traditional music and food. Venerable Mayer am Pfarrplatz (pfarrplatz.at) was frequented by Beethoven. CENTRAL OTAGO, SOUTH ISLAND, NEW ZEALAND. WHY YOU SHOULD VISIT For adrenaline with wine tasting, where else but New Zealand? Take the leap of faith at Kawarau Bridge Bungy (www.bungy.co.nz) or Ziptrek Eco-Tour (www.ziptrek.co.nz), and enjoy a high-speed river trip with Shotover Jet (www.shotoverjet.com). In winter, Coronet Peak (www.coronetpeak.co.nz) is the closest of several ski resorts. DON'T MISS Mountain biking amid splendid landscapes along Clutha Gold Trail, Roxburgh Gorge Trail or Otago Central Rail Trail (www.otagocentralrailtrail.co.nz), a 150-kilometre route along a former railway line that offers magnificent scenery and easy gradients. GRAPE EXPECTATIONS Visit the cellar doors at Amisfield Estate (www.amisfield.co.nz) and organic Rippon Vineyard (www.rippon.co.nz), which has interesting German varietals and splendid scenery. Felton Road Vineyard (www.feltonroad.com) and Gibbston Valley Winery (www.gibbstonvalley.com) produce classic pinot noirs. WHY YOU SHOULD VISIT The once old-fashioned Douro has been reinvented. If you want wine with fabulous digs, stay here. Six Senses Douro Valley (www.sixsenses.com) inhabits a former manor house and has an extravagant spa, Quinta Nova (www.quintanova.com) has a superlative vineyard setting and aristocratic Casa dos Viscondes da Varzea (www.hotelruralviscondesvarzea.com) provides tranquil Gothic charm. 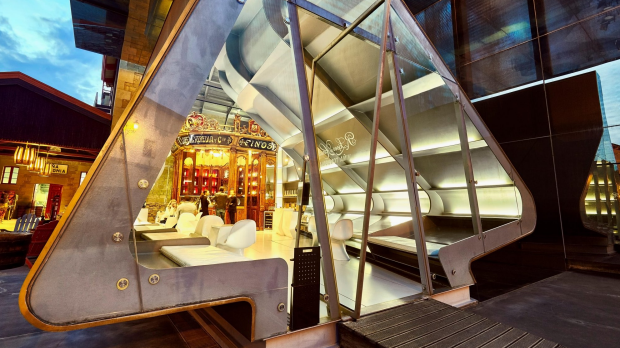 DON'T MISS The Yateman Hotel (relaischateaux.com): cool, contemporary and blinding white amid Porto's rustic port lodges. It matches considerable style with country furnishings, a decanter-shaped pool and spa with grape treatments. GRAPE EXPECTATIONS The world's oldest wine region is famous for port and produces interesting white wines from local grapes such as malvasia fina, gouveio and rabitago. In Porto, visit port houses Taylor's (taylor.pt), Croft (www.croftport.com) and Ferreira (sograpevinhos.com). WHY YOU SHOULD VISIT You are seldom short of lovely landscapes in wine regions but, when you have vineyards named Flying Above the Clouds located near the town of Shangri-La in the Himalayas, you're ensured huge mountains, green valleys contoured by tea plantations, and golden Buddhist temples. Potatso National Park is nearby. 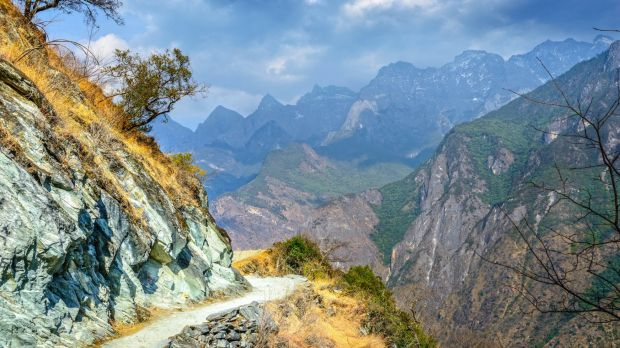 DON'T MISS The young Yangtze River turns sharply between snowy peaks south of Shangri-La in Tiger Leaping Gorge, one of the world's deepest gorges, with cliffs rising two kilometres. The scenery is awesome, the trekking dizzying. GRAPE EXPECTATIONS Ao Yun's organic, high-altitude, cool-climate vineyards, owned by Moet Hennessy (lvmh.com), produce cabernet franc, cabernet sauvignon and merlot. The 2013 cabernet franc-sauvignon blend is among China's best wines and fetches $500 a bottle. WHY YOU SHOULD VISIT A thousand years of architecture spreads across this region, which is traversed by the pilgrim route to Santiago and has World Heritage sites including cathedrals, monasteries and the magnificent walled town of Santo Domingo de Calzada. But the latest in cellar doors is just as stunning, including the Zara Hadid-designed Tondonia Wine Pavilion (www.lopezdeheredia.com) and wave-like Bodegas Ysios (www.clubysios.com). DON'T MISS The Frank Gehry-designed Hotel Marques de Riscal (marquesderiscal.com) stands out in ribbons of purple and silver titanium against a baroque village, echoing Gehry's famous Guggenheim Bilbao. GRAPE EXPECTATIONS The wine is nearly all red, mostly blended and predominantly tempranillo, plus garnacha, graciano and mazuela. Visit splendid modern, barrel-shaped winery Vina Real (www.cvne.com), Vivanco (www.vivancoculturadevino.es) and its wine museum, and Casa Primicia (bodegascasaprimicia.com) in a medieval hilltop village. WHY YOU SHOULD VISIT This culture-dense region is rife with festivals, kicking off in February with the masked, costumed Carnival. May's International Lake Constance Week regatta (internationale-bodenseewoche.com) features 1000 yachts. Early July's St Gallen Festspiele (www.stgaller-festspiele.ch) hosts opera in front of a baroque cathedral. In autumn, Lindau's two-week Autumn Food & Wine Festival (lindau.de) showcases regional produce. 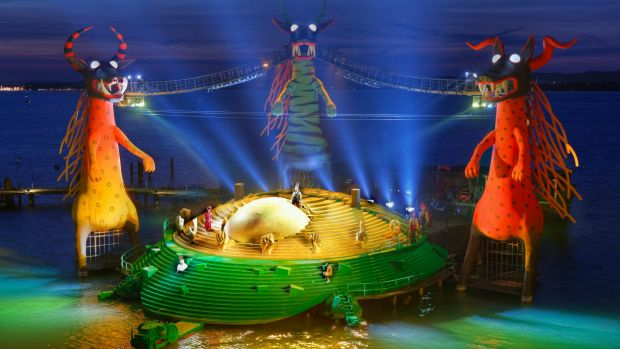 DON'T MISS The month-long, mid-summer Bregenz Festival is one of Europe's best music events, especially famous for its huge floating lake stage, which hosts spectacular operas to audiences of 7000. Rigoletto headlines this year, though there's much more. GRAPE EXPECTATIONS The German lakeshore produces crisp, fruity white wines, especially from muller-thurgau grapes. Swiss shores opposite produce reds, predominantly pinot noir. Several wine hiking trails link cellar doors. WHY YOU SHOULD VISIT Vineyards dating back to the 13th century are parvenus in a region 3000 years old. Chianti is wedged between Florence and Siena, which, with San Gimignano, have World Heritage historic centres. Lucca, Pienza and Pisa are other history-crammed highlights. Florence has three great art museums, the Uffizi (www.uffizi.org), Accademia (www.accademia.org) and Bargello (polomuseale.firenze.it). DON'T MISS The Medici villas and gardens, which collectively are also World Heritage sites. 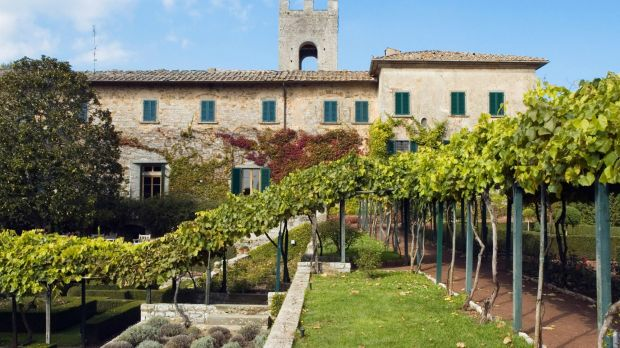 They range from fortified mansions to Tuscan villas, and are superb examples of Renaissance and baroque architecture and landscape garden design. GRAPE EXPECTATIONS Chianti is famous for is red wines made from sangiovese grapes. Stop by cellar doors at Renaissance villa Castello di Nipozzano (frescobaldi.com), medieval monastery Badia a Coltibuono (www.coltibuono.com) and contemporary, underground Antinori Chianti Classico (www.antinori.it). We asked three Australian winemakers to nominate their favourite international wine regions for reasons other than their great wine. Our ancestral home of Burgundy (burgundy-tourism.com) is rightly famed for great pinot noirs and chardonnays, but its history offers much more. My favourite town is Beaune (beaune-tourism.com), a walled town at the centre of Burgundy's vineyards with stunning wood-and-stone medieval architecture topped with shiny yellow roof tiles. Regional wealth has delivered wonderful art galleries and the amazing medieval Hospices de Beaune (hospices-de-beaune.com). The trip from Dijon through Beaune to Lyon past many vineyards is rightly known as "the stomach of France", offering excellent eating. We never ate less than superbly in restaurants such as La Cote Saint Jacques (cotesaintjacques.com) and Maison Lameloise (lameloise.fr). The Cook's Atelier in Beaune (www.thecooksatelier.com) teaches Burgundian cooking using local produce. The Fruili region of north-east Italy (turismofvg.it) is home to the greatest Italian white wines and up against the borders of Austria and Slovenia. Fly into Venice (turismovenezia.it) and stay overnight so you can be up pre-dawn to experience its wonders undisturbed. Then follow the Adriatic Coast and swim where the Carso or karst cliffs meet the sea. Drink coffee in Trieste and follow James Joyce's footsteps. Head north to Collio region and stay at La Subida (lasubida.it), which has great food and makes the world's best vinegar, Sirk. Visit Mount Sabotino, a significant part of the Walk of Peace (potmiru.si) that commemorates World War I – but read Hemingway's A Farewell to Arms first. I love the French Jura region (jura-tourism.com), famous for vin jaune, a reductive, sherry-like wine from savagnin grapes. It feels that nothing has changed in decades. The Jura is sleepy, laidback, and has great food, wine, villages and mountains. Both local wine and mushrooms go into making the regional coq au vin jaune aux morilles, best paired with a Tissot Chardonnay. The Arbois restaurant La Balance Mets et Vins (labalance.fr) does a finger-licking one – I ate there four or five times a week. A fun fact for Arbois is that microbiologist Louis Pasteur spent much of his life there. A museum (terredelouispasteur.fr) on his work inside his father's former tannery is well worth a visit.